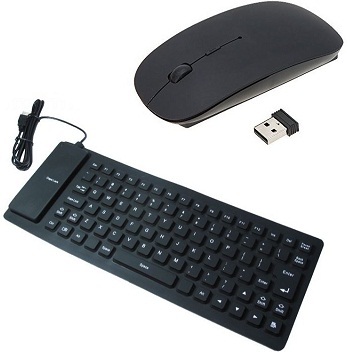 This wireless keyboard and mouse combo lets you operate your PC/laptop from a distance of 10 meters. The best part is that there is no need to install any software to use these devices. Simply plug the wire into your USB drive and start using them. These devices come with a comfortable grip which makes it ideal for daily use. The mouse is powered by 2 AAA batteries. The main highlight about its keyboard is that it can be rolled which makes it easy for you to carry in your bag. 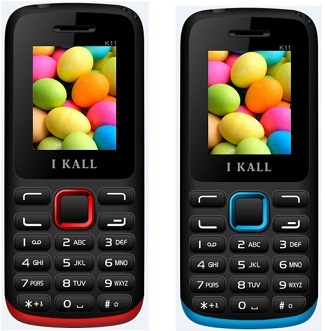 I KALL K11 is a sturdy dual SIM feature phone with a 1.8 inch TFT screen. The phone comes with an internal memory of 64MB and an expandable storage of 4GB. The phone is super light and only weighs 800 gms. With a 1000 mAh battery, you won't need a charger throughout the day. The good news is that the feature phone combo is available at the price of one. This combo is ideal for gifting during the upcoming festive season. If you have moved beyond the concept of feature phones, here is an amazing deal for you. Wham WK44 Smartphone is an Android smartphone with Android 4.4 KitKat OS support which assures of a smoother interface. The 1.3 GHz dual core processor and 512MB RAM allows your phone to do more things without slowing down. Along with this brilliant phone, there is a 10000 mAh power bank on offer which boosts the life of your smartphone when the battery is low. What if you click a lot of photos from your phone and you suddenly realise that your phone is out of memory? That could be your worst nightmare if you still have to cover a lot of destinations. 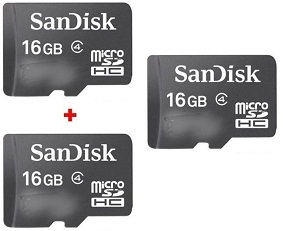 The best thing to do is to carry multiple memory cards and transfer the data to a memory card as and when required to save out some space on your phone. There are two things every traveller loves to do- click pictures and post them on social media with their smartphone. 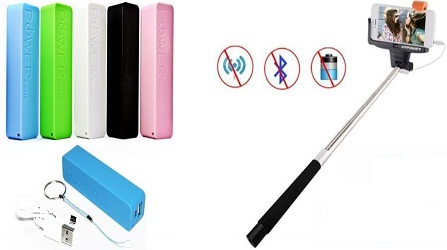 This combo includes a selfie stick which allows you to click pictures of you and your group endlessly and a power bank that always keeps your smartphone up and running. 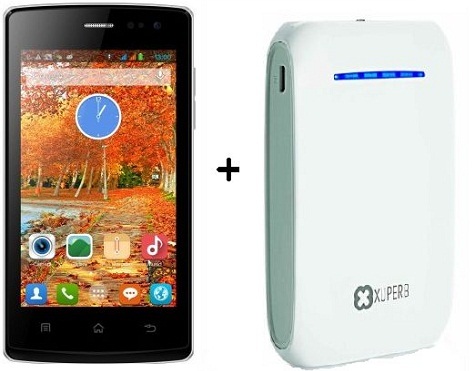 Now, there is no need to worry about the limited battery on your smartphone with a power bank.